It's been 24 hours since Elon Musk's tweets and now all the speculation is out of the way and the rumor mill has churned out its contents, we can now see what the real situation at Tesla is. Tesla, Inc. - Going Private? 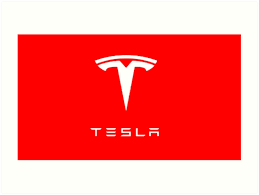 MANHATTAN, N.Y. - Aug. 8, 2018 - PRLog -- Tesla's board has confirmed that it will consider the proposal by chief executive Elon Musk to take it private. A statement was issued by six members of the electric carmaker's board after Mr Musk tweeted to say he had the funding to de-list the company. They said this "included discussion as to how being private could better serve Tesla's long-term interests". Mr Musk said in his tweet on Tuesday that shareholders would be offered $420 per share, valuing the business at more than $70bn. This would make it the biggest deal of its kind, surpassing the purchase of utility TXU Corp in 2007 for $44bn by a consortium. The brief statement by six of the nine board directors said Mr Musk had "opened a discussion" about taking the company private last week. The discussions "addressed the funding for this to occur", the six directors added. They did not include Mr Musk, his brother Kimbal Musk, and Steve Jurvetson, a venture capitalist. The board statement came amid questions about how Mr Musk opted to disclose the possible de-listing to investors. While companies are allowed to make announcements via social media, typically they also make a simultaneous regulatory filing, said Andrew M Calamari, a partner at the law firm Finn Dixon & Herling and former director of the New York office of the Securities and Exchange Commission, the US market regulator. "Just in terms of the style of this, it strikes me as very irregular," Mr Calamari said. "It also raises questions about his intent," he added. "Was he in earnest in what he's saying, or does he have some other motive" like influencing the stock price. Tesla shares reached a peak of $368 after Mr Musk's tweets on Tuesday, before trading on the stock market was halted. Trades resumed later that afternoon, after the company published an email from Mr Musk to employees elaborating on the plans. Tesla shares surged close to their all-time high of $385, which they touched almost a year ago, but fluctuated on Wednesday after the board members issued their statement. In the staff memo, Mr Musk explained why he wanted to take the company private. "Being public also subjects us to the quarterly earnings cycle that puts enormous pressure on Tesla to make decisions that may be right for a given quarter, but not necessarily right for the long term," he wrote. He added that the company was "the most shorted stock in the history of the stock market" - a trading strategy which assumes share prices will fall - so "being public means that there are large numbers of people who have the incentive to attack the company". Those traders are likely to have lost money when the share price rose on the announcement about a delisting. Mr Musk already owns 20% of the company. He said his intention in taking the company private was not to increase his personal holding and his plan would give existing investors the option to retain their shares. Regulators are likely to be interested in what evidence exists - such as agreements with investors or banks - for Mr Musk's claim that funding was "secured", Mr Calamari said. The Securities and Exchange Commission, the US market regulator, has inquired about the issue, the Wall Street Journal reported. Whilst the structure of the deal remains unknown, John Preston of Harding and Company said "This is amazing news! We have been moving our clients into Tesla for some time now and the strategy looks set to pay off.". "We have been long time Musk bulls and we have yet to be disappointed." To find out how you can get involved in Tesla and other opportunities in the markets, contact an advisor today at info@handcadvisors.com or visit www.handcadvisors.com to see how you can benefit from an independent advisory service that is 100% committed to your financial security, strategy and wealth management.